We maintain a long history of success spanning multiple industries. We will work diligently to meet your needs regardless of complexity, and our worldwide supply chain enables us to remain flexible. Aircraft are more powerful and efficient than ever, and aerospace customers require complex components and tools delivered on time to their exact specifications. 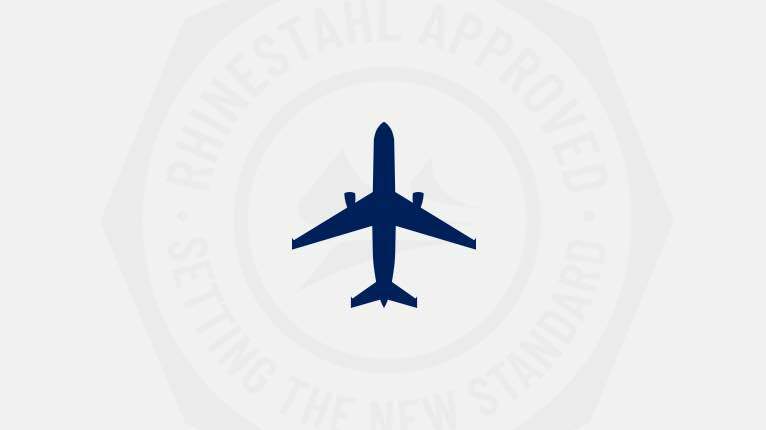 Our team maintains ISO: 9001:2008 with AS 9100 Rev. D certifications to meet and exceed your quality expectations. We have partnered with international industry-leading aerospace companies for over 50 years and solve these challenges by manufacturing precision parts that continue to push the aerospace industry forward. The space industry is currently undergoing a period of rapid growth and innovation. Manufacturing parts for an industry that is quickly advancing requires flexibility, precision, keeping costs as low as possible, and delivering on time without sacrificing performance. Our team is committed to communicating with you through every step of your project. 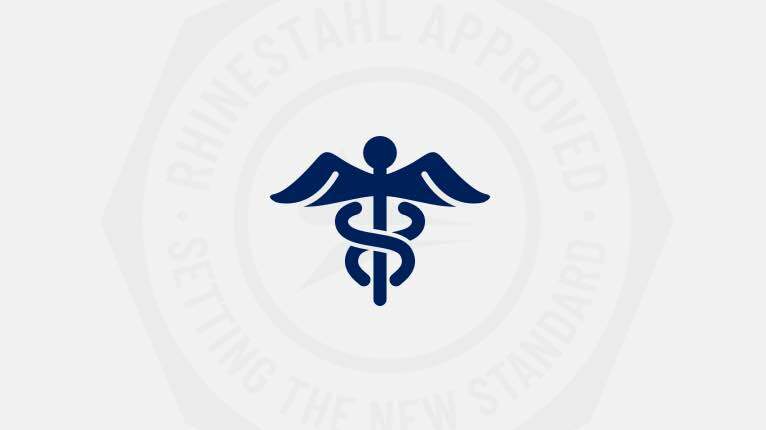 "Thank you to the entire Rhinestahl team that made this happen. You guys really knocked this one out of the ballpark! The project was very well organized and in particular, I am very appreciative of the level of information that was provided throughout the entire project. This effort has built a good level of confidence in you as a supplier and we are looking forward to working on future projects with you." - Launch Engineer, Industry-Leading International Space Company. The consumer goods industry provides many unique challenges. Flexibility to engineer, design, and build-to-print to your specific requirements is integral to facilitating shared success. We ensure safe, durable, and long-lasting parts to keep you producing efficiently, and utilize our ability to keep all parts of a project in-house to drive costs down and deliver on time. The medical industry demands creating a better experience for patients driven by innovation, accessibility, and performance while adhering to strict government regulations. Advancing at an accelerated rate requires our team to be flexible to produce parts that are at the leading edge of technology. We meet ISO 9001:2015 with AS9100 Rev. D certifications and have the technical expertise, quality planning, and project management capabilities to keep costs low while maintaining high-tolerance and high-performance parts. Industrial machines and heavy equipment are more complex than ever and need to work fast while maintaining high levels of safety for operators. 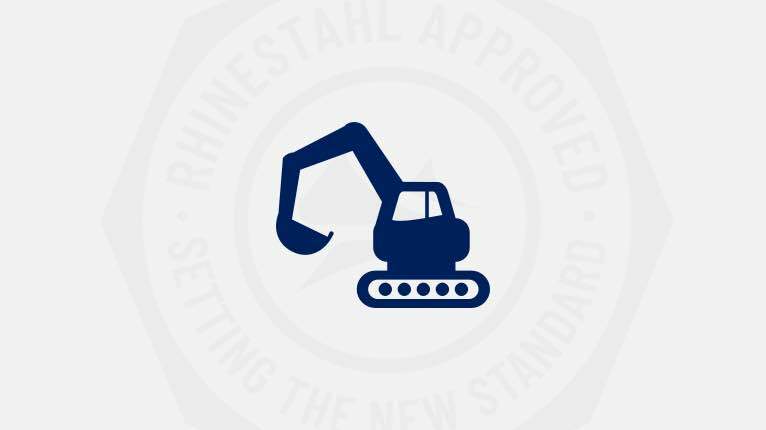 Our team recognizes your needs for high performance machinery to compete at the leading edge of today’s technology. These challenges require operational excellence, engineering expertise, and best-in-class quality. "I wanted to thank you all for your efforts on machining the two covers on subject line PO. This is the best condition I’ve seen these parts in after its first-time run. 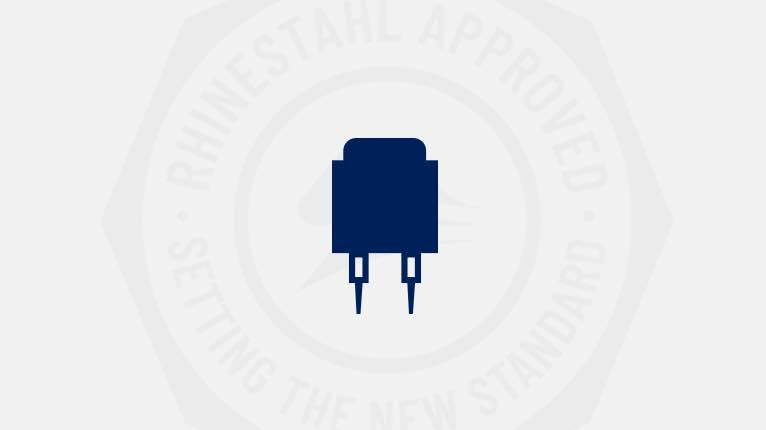 Rhinestahl’s attention to detail beginning with your router and work instructions through final inspection is evident in providing the quality we both expect and need in parts of this nature." The energy industry is changing and becoming more complex while operating in extreme environments. 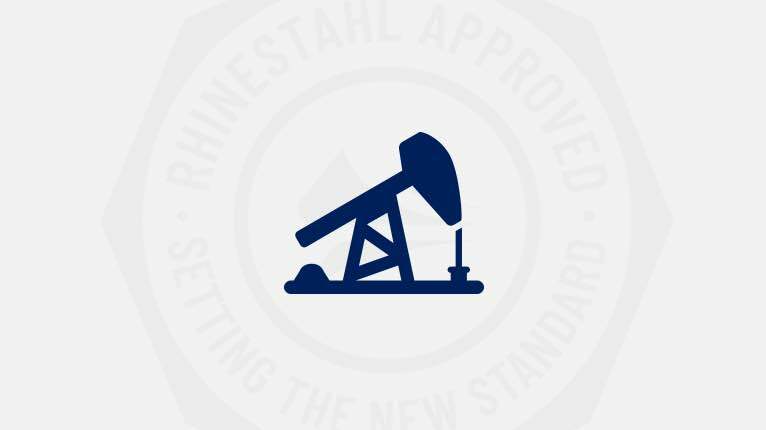 The Oil & Gas market requires intricate parts to support the demands of drilling and mining while keeping its environmental footprint to a minimum. The ability to match the increased demand for energy requires flexibility to adapt to these changing conditions while keeping costs at a minimum. Our ability to keep projects in-house increases our ability to communicate and drive down costs. Reducing costs, maintaining superior quality, and adhering to strict compliance requirements are key challenges for engineers in the defense industry. To meet these challenges, we commit to the highest levels of project management, engineering expertise, operational excellence, and quality to manufacture parts that increase efficiency and reduce overall costs. 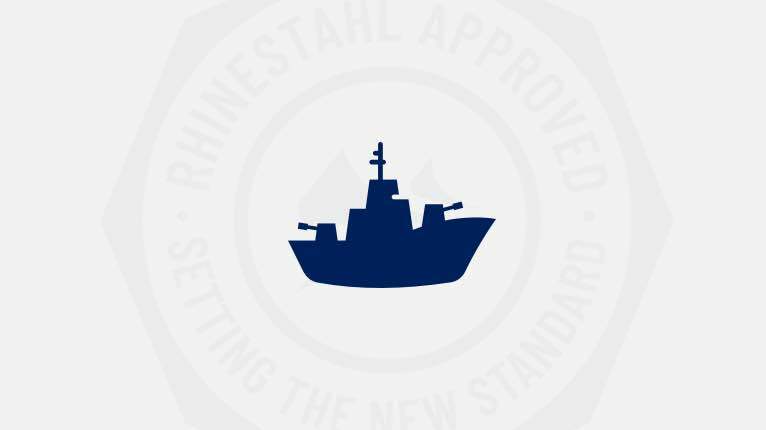 We meet ISO 9001:2015 with AS9100 Rev D certifications, NAVSEA qualifications, and ITAR compliance. We are your proven leader for providing precision manufacturing solutions in the defense industry. Increased competition and innovative technology are the driving forces of success in the transportation industry. Changing technologies, increased efficiency, and improved safety demand our team to be flexible by communicating throughout an entire project. Our ability to manufacture every facet of a project in-house gives us the ability to communicate effectively to increase transparency, drive down costs, and deliver on time. Our goal is to keep you at the leading edge of the competition. The electronic industry’s rapid pace of growth creates new challenges with every breakthrough in technology. Flexibility to engineer, design, and build-to-print to fast-changing needs are integral to facilitating success in the electronics industry. Keeping these processes all under one roof gives our project management team the ability to hit your deadlines without sacrificing world-class precision and superior performance. Our team is equipped to take on the toughest industry challenges with innovation and experience. We are trusted by some of the world’s most progressive companies to handle their complex projects. For more information on how we can make a positive impact in your industry, contact one of our dedicated team members.